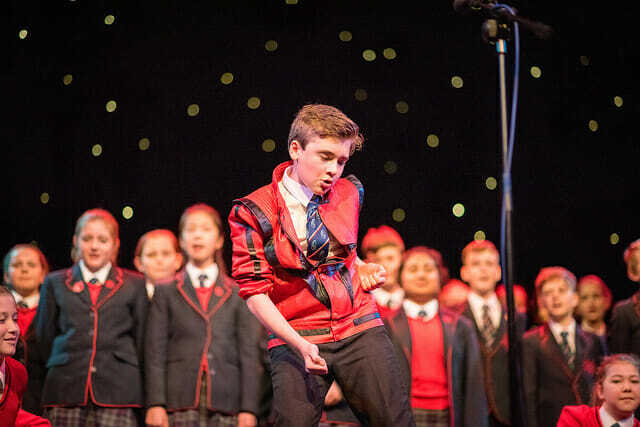 Rossall School pupils hit all the right notes when they took to the stage of Blackpool’s Grand Theatre for their house singing competition. The annual event, which has become one of the highlights of the school year, sees pupils from each of the Rossall’s eight houses compete to be named the School’s best performers. Under the watchful eye of judge and former student, Lewis Matthew Raines, the pupils sang their way through a variety of popular songs, complete with their own dance routines and a few theatrical flourishes! Lewis, a member of the Kings of Popera and one of the most successful X Factor acts of all time, G4, kindly agreed to squeeze the judging of the House competition into his very busy pre-Christmas schedule. 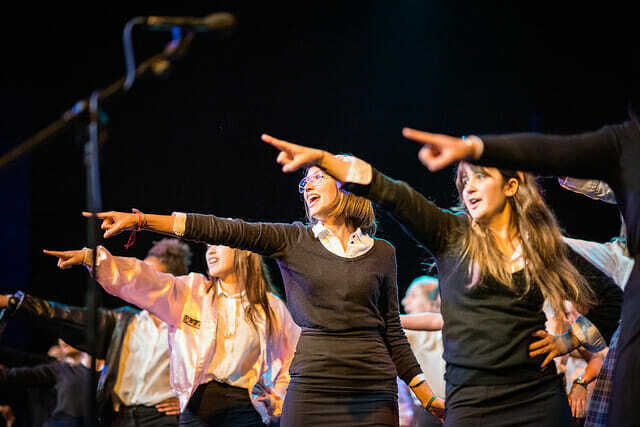 The girls from Wren House emerged triumphant with their rendition of Abba’s ‘Mamma Mia’, with second place going to Dolphin House for their energetic performance of ‘You’re The One That I Want’ from the hit musical Grease. Dragon House was placed third after their bone-chilling version of Michael Jackson’s ‘Thriller’ – complete with a moonwalk across the stage. To the delight of the pupils and staff the event closed with Lewis leading the School in The Carmen, Rossall Schools Anthem since 1868.